Fixed an issue where Policies were being saved / updated even though they didn’t need saving. This had to do with the new Products Matrix system. Making use of a new Caching method for our TQL Schemas, which have reduced processing time by about 400% for the new system. Fixed a bug with Exports in TQL / TLDialer. They should work again. TQL is now PCI and PHI protected. TQL now has a Debug Log so we can monitor performance. Added Channel Psuedo Columns to Live Channels, Live Sip Channels and Auto Calls. This parses out the Channel info to make things easier on us in the future. Added Relationship to DNC to the List Schema for Phone Number and Alt Number. This will allow you to pull Reports based on the presence or absence of a phone number in the DNC. Check the filters tabs! The TLDialer Leads Table has had a secondary button added to find a lead in TLD based on the Lead ID or the Vendor Lead Code, if present. The second button will still open the lead in TLDialer Admin mode. Fixed a MASSIVE issue, although a very small codefix, related to how we check wether an agent is on a call or not. This should hopefully fix some of the “Can’t hangup or leave conference” issues. Fixed an issue with Updating Leads in TLDialer. Leads should update now regardless of wether you are on TLDialer or not, as long as TLDialer is enabled for the account. Added ability to Emergency Force Logout an Agent from the Live Agents screen. It is the only red button. Careful! Fixed some Transfer Logic. We found an issue specifically with Blind Transfers to Ingroups / Queues. They should work properly now. Transfer buttons now will give feedback as to what the heck they are actually doing instead of staying silent. They should tell you EXACTLY what they are trying to do, wether it is transfering to an Agent, a Queue, or an external number. They will also tell you the type of transfer you are attempting. Started playing around with the Hangup commands to see if we can get to the root cause of the calls not hanging up during transfers randomly, although we feel the previously mentioned fix may fix it! 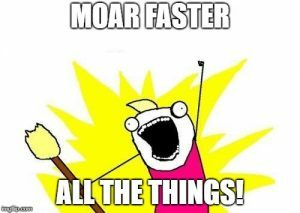 Also increased Database query speeds system wide. You can now upload Lead ID as a Field. This field will only work with Updates. If a Lead ID is used as Criteria, then it will not insert the lead. Mappings now build over time instead of requiring you to remap a file to a vendor every upload. This means if you Map for with Columns Agent, with Values of Agent1 and Agent2 but later load up Column Agent in a different file, but with Agent3 and Agent 4; Agent 1 and Agent 2 still be mapped even if not present. It will not be required to have those in the file however to upload, just the values present in the current file. There are buttons now to clear the current mapping set (while preserving historical Agent1 and Agent2). And there is another button to clear it entirely including the previous uploads mappings. Fixed a bug with Reconnecting. Transfer Agents Table now has a more robust simple query. When a lead comes in that is not in TLD, TLD will now accept ALL data from TLDialer to fill in the blanks, not just the phone number anymore. We do a reverse lookup in TLDialer to get the fields. TLDialer will now play a very loud noise when a call comes in. Yes, the sound is the siren from “The Purge”. This is a bassy tone that should get your agents attention. Don’t worry, the client CANNOT hear this noise, as it is played locally on the computer. If an agent is in another tab while a call comes in, a popup will open and notify the agent that they have an incoming call. They must click “OK” to dismiss this popup. This popup will not display if the agent has the tab currently active. Found and fixed a bug where Lead Data was not syncing back to TLDialer. Found and fixed a bug with callbacks. Fixed an issue on the Live Agents Screen where icons were changing that didn’t need changing. My pride and joy. This finally went in this patch and is being used with the TLDialer portions of the system. It now supports TLDCRM itself, and we will be migrating and moving sections of the system to use TQL for the future. All newer sections of the system will be using TQL as a baseline for building queries as it is built with the interface of TLDCRM in mind. This will allow us to create robust click and drag reports as well as many other interesting features. This built off the idea that launched early 2018 with the Column Builder and the Leads and Policies sections. We can now support all sections. Some filters may break once this goes live for TLDCRM, but should be easy to correct. Products system now has an option to hide policies instead of showing an error and making them unselectable when in an incorrect state or zipcode. Fixed a massive bug in filters system. A race condition could sometimes cause all columns to be selected randomly when saving. The Filters opener has now been turned into a aqua blue button to prevent confusion, since most people couldn’t find it. It behaves exactly as it did before. Added Ability to “Kill User” from Mass Update. This will properly set the user to deactivated, and any TLDialer User and TLDialer Phones to the proper Inactive and Closed statuses. Added an edit button in conjunction with the non-intuitive double click row to edit. Sorted action and info buttons into actions column. Sorted action buttons into actions column. Table Headers should now Bottom Align instead of top. Makes it a little easier to read. Some Core Files Changed / Modified and Removed. Cleaned up some Depracated code in the system. Promisified some functions that needed promisifying. Found an issue where loading services would create a new instance no matter what. Fix should improve performance and memory usage. Fixed a big bug that prevented the Transfer to Number feature to always call the same number over and over. This should no longer occur. New Pseudo fields have been added to Live Agents Schema to represent wether an agent can be transferred to, and what color should show up. Fixed an issue with the pricing matrix regarding disabled products not pulling data and causing an issue. This was never experienced live. Added Option in Product API to Force a Product ID regardless of hidden. Added Price ID to Product when selected so we can reference it elsewhere. Fixed an issue with saving Currency Custom Fields. Adding a $ or , was causing the system to kick the value, not properly parses it to decimal and stores. Also will show $ and , when putting it back in the field. We were usingis_numeric and setting to null before, whoops! Added “Disclosures” email and options to the Email tab. Disclosures will show next to Send Welcome Email, but unlike Send Welcome Email, will create multiple buttons based on the Languages that are set…for now. Currently this is a Work in Progress, it will not send an email out yet. We are finalizing how we want to set this up. You can now create dynamic, publicly accessible forms to allow for external entry of data without having a logged in user. This is useful for television campaigns or after hours services so you don’t have to have email sent to you and then do the data entry yourself. You can have multiple forms, and enable and disable them. They are customizable based on a Grid of 12, so you will have to visualize the layout by numbers. You can drag and drop each form field to change the order. You can find this in the “Forms” section of any Vendor. It is hopefully mostly intuitive. Sales Board should no longer show trashed policies in the result set. Fixed a bug with Upload Downloads introduced by our Bind error logging, not sure how it ever worked before…but it did. More appropriate error message for Bind Issues so we can identify them faster. Changed Money Format to default ‘%+#n’ instead of %(#10n. It was adding 10 digits of padding and we prefer to use – instead of () for negatives. Easier Database parsing. The pricing matrix is now fully functional. Based on what your agent enters in the policy and lead, it will automatically fill in prices based on your settings if you set them. We have reworked the Pricing Module to enable enhanced options when building your product pricing matrix. Eventually we will be creating some standard sets that can be copied straight from our master table definitions to ease the data entry workload. We are very excited about this module and how it works we will below give you some basics as to what your agents can expect. We will be expanding on the agent experience and rules sets in the coming months based on feedback. When selecting options, Required fields that have been selected will be highlighted in Green, and those still missing will be highlighted in yellow. Once a product has been fully set, the pricing matrix will use the same “Undo” functionality that comes with multi-user updates. It will be possible to unset the new value to what it was in case this was not desired. Products that have already been set will not be colored green or yellow unless a change has been made. A notification will be given when pricing has been updated due to new selections. The admin panel is complex, but we have made it as easy as we could for data entry and to configure your products. The Pricing Matrix has a series of tools that lets you filter certain permutations or combinations of permutations and copy prices straight down or to all available. This way when you have a certain option where the premium is always the same, you can just type it in once and be done after clicking copy all with a filtered option. If you want a field to be included in the Pricing Matrix you must check off to use in that Permutation Matrix. If you want to lock fields to only the options provided, you must select Lock Field. If you want your agents to not be able to type in premium, enrollment fee, or admin fee, you can lock these fields in the Options tab. Fields that would normally allow you to type in things like “Deductible” and others, can be locked, which will convert them into dropdowns automatically forcing the agent to pick one of them. If you would like a blank or 0.00 option please make sure to type in 0.00. Some fields are not allowed in permutations, such as Deductibles. When using the Age Permutation, you will be given levels of ages in the permutations, which will change prices based on the age set. Depending on the carrier of the product being configured you may be presented with extra options in the Pricing Matrix, such as Admin123 Benefit ID. This allows us to create dynamic product based codes for sending to third parties via API and the Submit System. Please note, that the Pricing Module and the Validation Module work in Conjuction. You would still want to set your Product Validations to stop the agent from proceeding before the pricing module takes effect. Fixed a minor issue with the new Policies Report. When clicking an Agent name it was not filtering for the proper agent. Added a new way to let your vendors know what is going on with your leads. Now you can choose from different options in the “Stats” column which will give more search and control to the Vendor when looking through their leads. In this case this also works for both Inbounds and Outbounds configured for the vendor, instead of searching through the vendor log. Also includes exportable CSV for the Vendor. You can now group leads by pretty much anything. Coming soon to policies section. The current grouping options section and Aggregate Checkbox has been moved to a Multicheckbox and instead of the Not flag, has a Aggregate Flag. Added 3 second delay between clicking buttons in TLDialer. This prevents the issue with agents clicking too many times and originating too many calls to transfers and the like. Add Users to Ingroups from TLDCRM! It is now possible to add Users to Ingroups while Editing or Adding a user! There will be a Multi-checkbox that will show the currently allowed Ingroups for the user, this list is also filterable for quick searches. When adding or Updating a user, we now automatically upsert Available Campaigns and Ingroups into the related user tables, no more having to click save on the user after creating them. If you modify a users ingroups available, it will automatically insert itself into the Vicidial Live Agents table and grant immediate access to that ingroup for that user. In the future, if the agent doesn’t have auto join ingroups set, this will just provide the ingroup as a new option to join instead. Update functions now also always add users into the proper campaign tables in case they have not been added to new campaigns. Mass Add, Remove, Drop Ingroups from TLDCRM! You can now use the Mass Update Tool to Add, Remove or Drop Ingroups from whole groups of Agents. You can use these functions in conjunction too, for instance you can drop all and add some, or remove some and add some. Allowed ability to Manually Assign a TLDialer “User” over our automatic method of creating them via TLD User ID. The Phones extension will match the “User” set, as well when creating a phone along with it. Reworking some original sections to work with new Query system instead. Much more efficient. Found a Possible Bug, where some API Commands may or may not work if API access was not granted on the user. Commands would run, but it seems like some random problems would arise for users without this setting. We are testing this and hoping for good results. Added Voicemail ID as a Immutable Setting on the User edit and creation forms, without this, voicemails would not work (even though they were set on the phone itself). Reworked Transfer List Query to use new Query system instead of custom code previously written. Transfer Groups should still respect campaign settings. Ingroups Available Query now respects intersection of Agent and Campaign ingroups. This will be used to allow people to choose ingroups in the future instead of just auto setting. Added Live Agents Relationship to User Table. Cleaned up DB Param Binds Protection. Reorganized Functions into a somewhat sane order. Removed Tabs separating Dialer & Phone from User Add and Edit, this was causing some confusion. They are now simply side by side. Add All User Info on User Creation! This one has been a long time coming. It is now possible to add user roles, abilities, groups and other meta on user creation. No more creating the user then having to find it and reopen it to edit. Reorganized the User Table. Removed Email (and placed as Tooltip on Username). Added “Info” column with icons related to TLDialer such as Ingroups (click for list! ), Webphone Enabled and Sockets Enabled. The Add User panel has been reworked! You can now add everything related to a user on creation, including roles, abilities, user groups, and other settings including TLDialer Users and Extensions. No more Adding, then Editing the user. Yay! Yes, this was a loooooong time coming. This was one of the original modules in the system from 5 years ago. Clarified Timezone and time settings by showing their defaults when not set. Removed A1 Integration Settings since it is now part of Admin123 Integration Settings. The purposes of the report is to allow people to see an Agent Report similar to the Agent Dashboard, but with the ability to seach via Conversion Dates, not just sale dates. This is for call centers that get paid on post dates that are converted today, rather than the day they are posted. Can select specific Statuses if desired. Can Mix and Match Date Converted and Date Sold on the Policy. Each Result will have a link to that specific search for that specific agent and the query parameters provided. Added ordering to Multi-checkboxes to make them more predictable. Fixed a minor notice (invisible) regarding special fields and columns. An Upload ID will now be Attached to every Vendor Log if it was imported via Upload or FTP. This Upload ID can be used to make corrections if things didn’t go right. You can now Force Skip Relay Send from the Option Panel for all Leads being Uploaded. Added Relay Messages to the Response Column. Removed Third Party Code, as it is no longer used or even in the code of the system. Cleaned up Logging Functions. Much more Dynamic now, will let us do much more with the uploader later.. Reorganized the Check-boxes in the Options Dropdown. Added Vendor Name, Upload ID, Reference ID, Progress, Current to the Lead History Section. Reference ID pertains mostly to Error Files, it will let you know which upload it is an error file for. As leads are inserted in the Uploader, they will update the new “Current” field in the Upload List. This will also Update the “Progress” field with how far it has gone. Added new Upload “Types” -1 Failed and 0 Processing. Types will be updated based on what the uploader is doing. Added new_ftp_lead to action logs for filtering. Added “Response” to Vendor Logs JSON Output. Resolved FTP Firewall Issues. It was CSF…yet again. FTP Sync can now be Run Without documents using the documents_skip flag. FTP Sync can now be Run for a previous Upload that did not get documents with the documents_upload_id flag. You must set this to an Upload ID of a previous Upload. It will error out if it cannot find any records. FTP Sync in the Vendor Tab now has a button you can click to try and run it. Careful! New more robust error logging solution. Remove Check for Logs and Recordings when no lead present. Fixed Minor PHP Notices in the Menu System. You can now receive Custom Fields via Lead Vendor Posting. This will only show custom lead field maps that have no vendor filter, or are a vendor in the filter list. When receiving leads on an enabled Vendor, the system will look for a map first. If not found, it will still check for the defined lead custom fields that either have no vendor filter or are in that vendor filter list. The Uploader will also work with Custom Fields. Does not required a pre-saved map. The uploader will ask you to map the possible data points to your custom if you have a “Source” set, which is usually the case with Select Menus that are using another field dataset in the system. The uploader also respects the vendor specific limitations on fields. The Vendor Map is not required for the fields to be posted in, however we provide it so that you can customize it if needed as usual. *If you change your Custom Lead Map Names, it will break any implementation you have with vendors using them, as the reference is no longer valid. The same applies if you add a Vendor filter to a field and forget to set an active implementation, it will filter it out. We recommend not changing Lead Custom Field names unless absolutely necessary. It also will leave your previous data orphaned, as we are checking for a new field reference. If no fields are provided, no lead meta will be inserted. Custom Lead Fields will not insert if the lead does not insert. Custom Lead Fields will insert / overwrite if Update Lead on Dupe is selected in the Uploader. Fields are automatically filtered and cleaned by type set in the Lead Custom Fields section. Changing field types can have adverse effects and leave your data orphaned since we use different columns for certain types. Some types such as Currency and Decimal use the same field and can be changed. Found a bug with system fields in Dependent Upload validation in the uploader / post system. Fixed. Dupes will now correctly print out their dupe Lead ID in the error document, and also show a link in the Uploader Menu so you can open the offending lead. Reduced Server Load on bulk imports by not sending a ping to the Relay system if no relays are configured for the vendor. Total Relays Queued now shows in the Uploader, or a message if the relays were not configured. Set some Defaults to Vendors, and removed some Blank options that should always be set when adding a new vendor. Added Vendor ID to Top of the Vendor Edit Form. Added Import ID to Top of the Vendor Edit Form. Added List ID to Top of the Vendor Edit Form. Fixed a bug specifically with the Language Field in Vendor Validations. Apparently I renamed language to language_id, even though its language in the database, causing some issues and not allowing a disposition when language was required. Reordered the way the dupe checker works, it will now give you the LATEST lead for the criteria specified, and it will give sort by latest converted, then by lead_id. This should get you the freshest, most worked lead as the dupe. Lots of changes to look and feel of products. Redesigned Tabs to make it more clear where you are. Updates to the way Settings works and merges changes. Mass Update Has some new options to pull the settings from the master table if it is configured. You can also reset all settings on specific fields. Settings includes all options besides main product info like name, type, etc. You can then Force Show Marketplace Section for a particular Product. You can then Force Show Life Insurance Fields for a Particular Product. Pricing Matrix can now be enabled or disabled, so you can set up your pricing matrix without effecting your agents. The Front end Section is almost ready for launch. Fixed an issue where user Modifier wasn’t being set on Update. There is now an option to allow Agents to login without choosing a campaign, when they only have one campaign available. Simple clicking the login button will start their TLDialer Session. Ask us to Enable it. Fixed an issue where Custom Fields were showing up as changed every time. Fixed a minor issue with json display on Vendor Log. Should always be correct now. Lots of changes to look and feel of fields. Redesigned Tabs to make it more clear where you are. Updates to the way Settings work and merges changes. You can now have multiple phone numbers show up per carrier with their own custom labels and transfer types. We made this visible throughout all phases now, not just Verification. This is particularly useful for calling Medicare carriers to determine eligibility while quoting, or customer service after the deal is closed. TLDSIP Interface will now show at the bottom left corner of this Dialer screen. When logged into the Dialer, the TLDSIP Bar will disappear. You can call an external number with the TLDSIP Interface, there is no need to add a 9 or 1, they will be stripped and the 9 and 1 added automatically. You can call an internal number with the TLDSIP Interface, just dial the number. This is going to be primarily used for Voicemail configuration for agents. We found a missing button in the Policy Workflow due to our allowing of negative statuses during the Policy Submission process. We have added the Submit button when a Policy is in Negative status, but has been verified. TLDialer Sections should now properly sort, including via imported schema. TLDSIP Webphone now has it’s own interface. It will allow you to make generic outbound calls or calls to extensions. The Transfer Dropdown now respects the Transfer Groups set in the Campaign. It also will show the Ingroup Description instead of the ID now. The Color of the Group Configured in Vici will also show next to the group name. Status Colors will now show next to the agent name they reflect the same status colors you are used. Reformatted the Status and Extension text to show Status @ EXT: # and removed EXT # from Offline members. This made the table a little smaller as more text can fit. Prepping for 3rd Party Integration with IVR’s and Admin123, we have added an API Section that allows you to create API Credentials as well as deactivate them and regenerate keys in case of abuse. This will show up under the Settings section in TLD, Superadmin only. Each API can be configured to access certain sections. It allows basic CRUD operations on specific tables. We have added an “Agent First Viewed” report to go along with Agent First Worked. This will show you who viewed a lead first for those agents that load a lead and take no actions. We have fixed the Agent First Worked report to work with the new and old logging methods. Reworked the fields system to work with arrays only and not objects for simplicity and further development. Changed all Checkboxes to be boolean dropdowns. For Carrier Fields, you can now set colors, this will be used later. If set, during the Verification Stage of a Policy, you will be presented with a button that shows the phone number to call. If Transfer Method is set to Manual it will create a telephone hyperlink. You will have to do the transfer yourself. If the Transfer Method is set to Live, Warm or Blind, it will try to use TLDialer to Transfer. If TLDialer is not active, the button will do nothing but it will still show the phone number to call. Reworked the products system to work with arrays only and not objects for simplicity and further development. We now have a Configuration panel for certain carrier product for Admin123. Users can now have Admin123 Credentials set in the Users Tab under Third Party. Credentials can be changed Per Carrier as they are different. Fixed a bug with Uploading Notes. Now should work! We began laying the groundwork for AWS integrations so we can add out IP Filters to TLDialer servers without having to do it manually. We will be syncing the IP address filters from TLD to these boxes in the future. Created new TLD Schema based off the TLDialer Schema we created. We have begun porting TLD over to the new method as it lets us work on one single codebase method. Solved a major Import issue. We can now import nested Schemas. This gives our column Builder and query system supreme flexibility. Modified sales board to support filtering specific agents. Some fixes put in to help with the new schema layout for TLDialer. The Column Builder now splits the fields based on what table they are from. In the future this will work in Leads and Policies too, but for now only works in TLDialer Sections. Moved some Logging Code into the proper model. It is now possible to Call Barge in TLDialer. This feature requires your user to have a TLDialer Webphone configured. It can be done from any Browser and operating system except for iOS Currently, as the WebRTC Connection does not seem to be working. We will try to resolve this issue so you could use an iPad or iPad Pro to monitor your call center. You should be able to connect from any Windows or Mac Chrome Browser, or Android devices with Chrome running. Most of our code is optimized for chrome so it is your safest bet to use this browser although the system should work in Firefox, Edge, or Safari but we have not tested with these browsers. When you click on Live Agents you will be presented with 3 buttons. The buttons are larger on Tablets and Mobile devices when in mobile card mode. Once you click one of the buttons a large button will appear next the the Live Agents title. Pressing this button will disconnect from whatever mode and person you where connected to. If you click another button on another agent, or another mode, you Will automatically be disconnected and placed in the other call. The phone will auto hang up and accept the next call. When barging or whispering please make sure to disconnect from the agent when you are done or you will continue to transmit background noise. This will allow you to listen in on the agent. It will not prompt the agent or make any noise to notify them you are listening. This will play a Vici POP noise and place you in the call with the agent. The Agent and the Client will be able to hear you. This will allow you to listen in on the agent, and only speak to the agent. The client will not be able to hear you. It will not prompt the agent or make any noise that you are there. If the agent is currently on a lead, this will open the lead. The agent will be notified that you have opened the lead in TLD, as well a sync any changes you make. It should also sync changes the agent makes to your screen as they hit save if you want to monitor their data entry. We found this feature while working in the Vici codebase. We have yet to release it but are experimenting with it as it is an unlisted and undocumented feature in Vicidial. We assume this takes the call from the agent and places the agent on mute but it is currently unverified so we did not push it out. It is easy to implement once we figure out what it does.